Huddersfield is a large market town in West Yorkshire, located around 20 miles from Leeds and Manchester. A former mill town with an industrial past, it is part of the metropolitan borough of Kirklees. 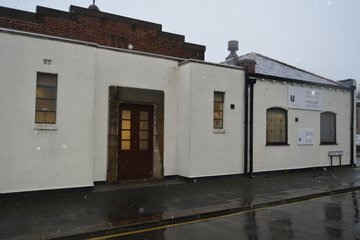 With a diverse population of around 160,000 people, people of faith living within the community are served by numerous places of worship including churches of different Christian denominations, mosques and gurdwaras. Funeral directors in Huddersfield can help direct the family members to find the ideal resting place for their loved ones. To serve this need, there is the large Edgerton cemetery, and a woodland style non-denominational burial ground close to town. The rural setting of the Hey Lane Cemetery which is south of the town makes a tranquil resting place. 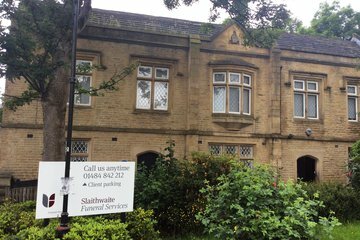 There are also two crematoriums run by Kirklees council in the area, and many smaller cemeteries in surrounding smaller towns and villages. There is a good choice of funeral directors in Huddersfield, with over 23 in a ten-mile radius. Many of these are located very close to the centre of the town. 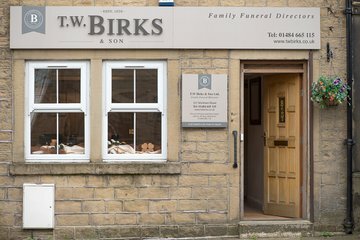 Search for local Huddersfield funeral directors now to see funeral homes near you. You can filter search results by best rated, most reviewed or nearest to you. Click on a funeral director’s listing to see their profile page, where you can read independent customer reviews, search for recent obituaries, and learn more about the funeral services they can offer to you.